Pune: Pursuing its relentless endeavour to make a positive difference in the society, the country’s largest luxury car manufacturer Mercedes-Benz India has partnered with Grow Trees to encourage afforestation. The company has planted 50,000 trees in eight villages covering two districts of Yavatmal and Amravati. The plantation of 50,000 trees has been covered in 1,680 acres of land. This entire activity will benefit the tribal communities living in these villages, giving them an opportunity to earn their daily wages and making them an active participant in conservation of the biological diversity which is the need of the hour. 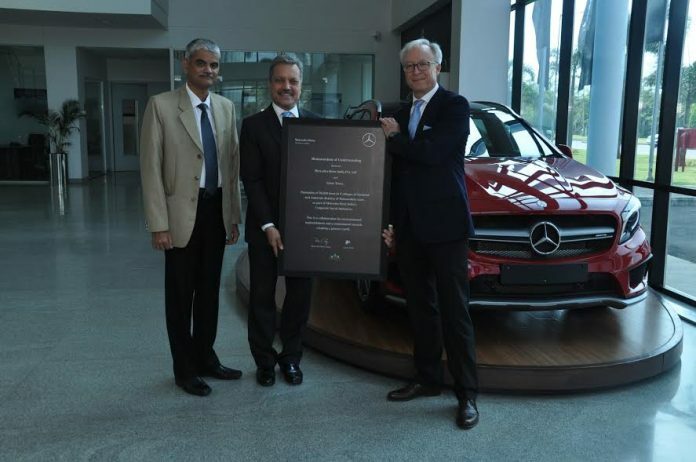 Mercedes-Benz India will present a certificate for 10 trees to each customer targeting an overall base of 5000 customers, making them aware about the ecological challenges and spreading the message of environmental awareness. The areas of Yavatmal and Amravati have always reeled under the effects of drought and climatic changes. This activity will increase the fertility of the soil and will allow the newly grown vegetative cover to reduce the effects of soil erosion. This will increase fertility and change the entire biodiversity of the region. These 50,000 trees will act as major carbon-sync for the atmospheric carbon, as they will consume approximately 20 kg of carbon (per tree) from surrounding environment in due course.